A wake-up call on the new American inequality and what to do about it. 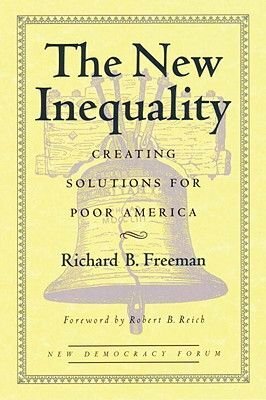 His argument is answered by distinguished activists, social scientists, and activists-James Tobin, Heidi Hartmann, Michael Piore, Frances Fox Piven, James Heckman, Ernesto Cortes, Jr., and Paul R. Krugman-in essays that heed and add depth to Freeman's call. As they debate the limits of traditional solutions for inequality, all agree on one key prerequisite: A democracy can solve inequality only by living up to its name. NEW DEMOCRACY FORUM: A series of short paperback originals exploring creative solutions to our most urgent national concerns. The series editors (for Boston Review), Joshua Cohen and Joel Rogers, aim to foster politically engaged, intellectually honest, and morally serious debate about fundamental issues-both on and off the agenda of conventional politics.